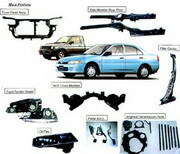 There are hundreds of Thailand Automotive Parts Companies. 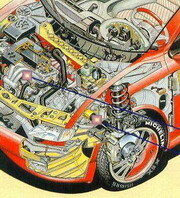 Many produce auto parts and auto components exclusively for the major automotive manufacturers. Some companies however are geared up pretty much for export. I get many requests every week from Auto companies, manufacturers and wholesalers abroad wanting to source automotive parts for export. This is a very difficult market. Many automotive manufacturers in Thailand have exclusive contracts with their customers and cannot produce for their competitors also. Small manufacturers cannot cope with large and specialized orders. At Bangkok Companies we have built a large database of companies. The Ultimate Thailand Contact Database. Here we collect data on large and small producers of vehicle parts, components and accessories.. We can then save time when sourcing for our clients. Identifying and contacting quickly the appropriate manufacturer for the job at hand. Recently the Thai Department of Trade has been trying to promote this sector of Thai industry. Recognizing the huge potential for exports of products from Thailand's growing Auto parts Manufacturers. Sadly few companies are meeting the strict quality control standards demanded from foreign buyers. It is a lottery out there. Many companies promise the Earth but few can achieve what it takes. If you are sourcing automotive parts of any kind then send us your full order specifications and we will help to source the right factory for you. Bangkok Companies is a full service product sourcing company in Thailand. For All your automotive parts needs please email bangkokcompanies@gmail.com with your requests. CPR Gomu Industrial PCL Thailand Thai manufacturer of Rubber Automotive Parts, Rubber Engineering Parts. E.C. Plastics Co., Ltd. Thailand Thai Manufacturer of Artificial Leather, Vinyl Leather, Commercial Vehicle Seating, Passenger Car Seats, Sofas, Interior Decorations, Upholstery. Hitachi Chemical Automotive Product Thailand Co Ltd Thailand Japanese Manufacturer of Plastic Automotive Parts, Instrument Panel, Foam and Injection Mold, Door Trim, Bumper, Radiator Grille, Console and Interior Trim. 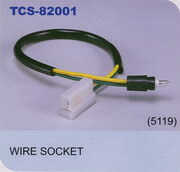 also included in our supply of parts the Pulley and Stabilizer Link for Japanese brands. Soew Heng Huat Pacific Co. Ltd.
facing and imported brake shoes and clutch covers from overseas. Thai Commercial Auto Part., Ltd Part. import parts and also local parts. If anyone interested in importing any parts. capability of its workforce in order to achieve world class recognition. THD Auto Parts Co., Ltd.